Energy saving Halogen candle bulbs are the cheapest low energy candle bulbs we supply and directly replace a regular candle bulb. 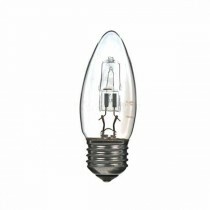 Offering a 30% energy saving compared to regular candle bulbs. This has made them the most popular energy saving candle bulb that we sell. To find out more watch our low energy halogen tutorial. Our range of LED candles can provide you with 80%+ energy savings compared to regular candle bulbs. 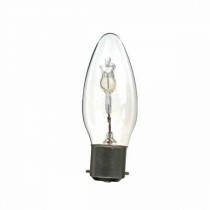 And better still, they work as direct replacements for your halogen or incandescent candle bulbs.